Hello everyone. Today I came across one really good way to debug a website in Android Chrome. Its really cool stuff . 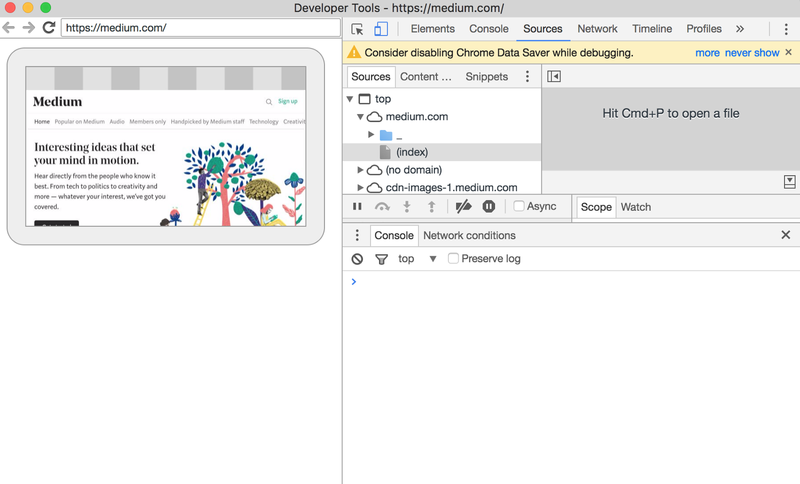 You can debug your website in android chrome the same way we use developer tools in chrome desktop. Show the content from your Android device onto a Developer Tools instance on your development machine. 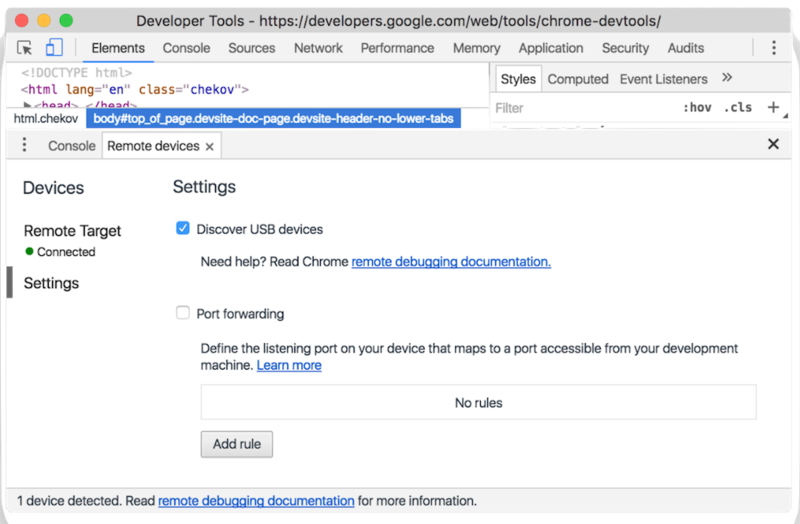 Enable the USB debugging in the Android Developer options. Let’s try out this. Open the Chrome in development machine and click on the options and select Developer Tools.. In the Developer Tools you will see Main menu options icon. Click on it and select More tools. In the More tools you’ll see lots of options. Select the Remote devices and it will open one more tab . In that you will be able to see the connected mobile devices (Make sure that Discover USB devices is enabled). Type the url of your website in the open tab of desktop remote connection tab . Now click on the Inspect button in the right side of the web UR, that you want to . Now you you can see the logs , network calls , memory usage etc.. Remote Debugging Console for android Chrome. That’s it folks. 👏 👏👏👏…. ❗️❗️❗️❗️❗️…. If you like my post and want to get future update, do click 👏👏👏, follow me on medium.